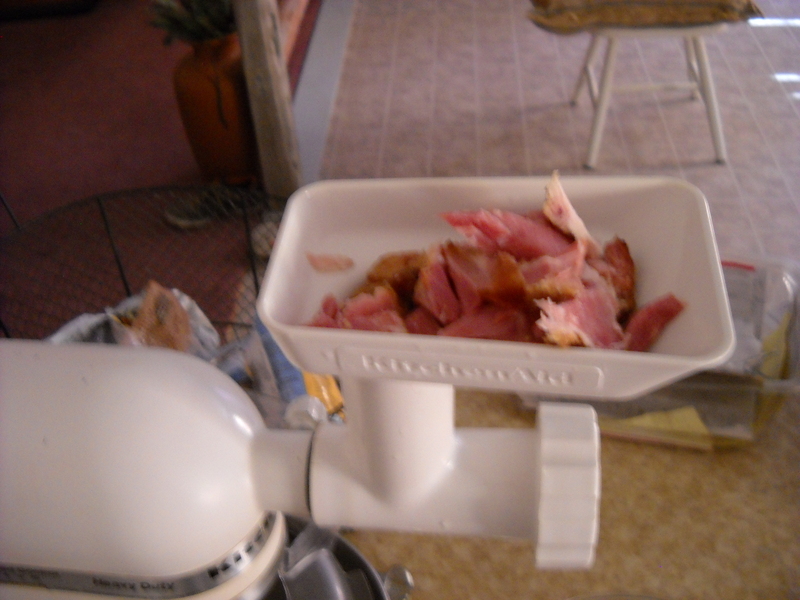 It’s been weeks since Easter but today I re-enjoyed the fruits of my spiral sliced Easter ham. Well, technically it was my daughters ham since she had invited me over for dinner but let’s not split hairs here on ownership. 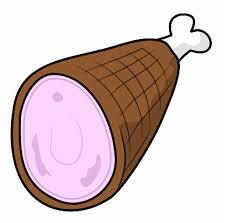 Besides, I ended up with the ham bone when I realized she was about to throw it away so I rescued it. Upon returning home, I immediately wrapped and froze it. Today during my hunt for some breakfast vittles I spied that ‘ol ham bone (it actually called my name from the freezer and called out, “eat me!”). 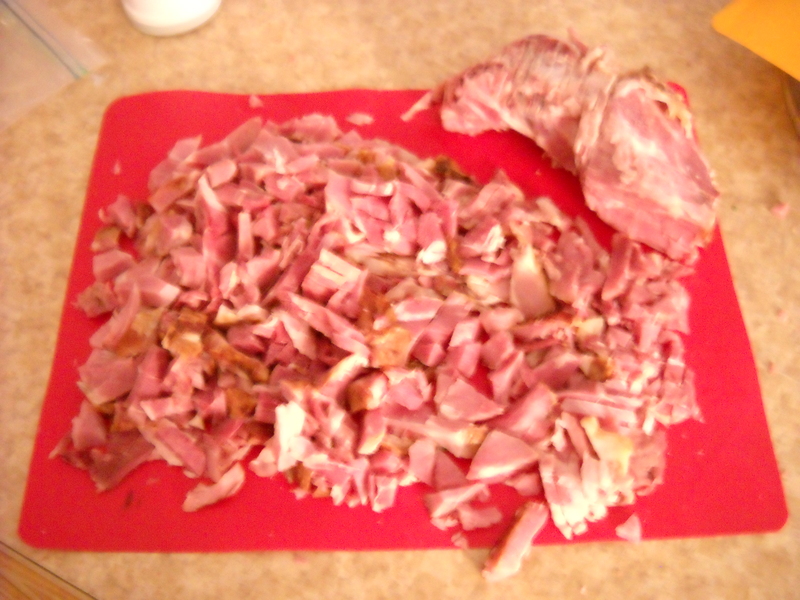 My first thought in rescuing the ham was to cut off as much usable large pieces of meat from it and save the rest for bean soup. (somewhere in my blog I’m sure I have a recipe for bean soup, if not, shame on me!) 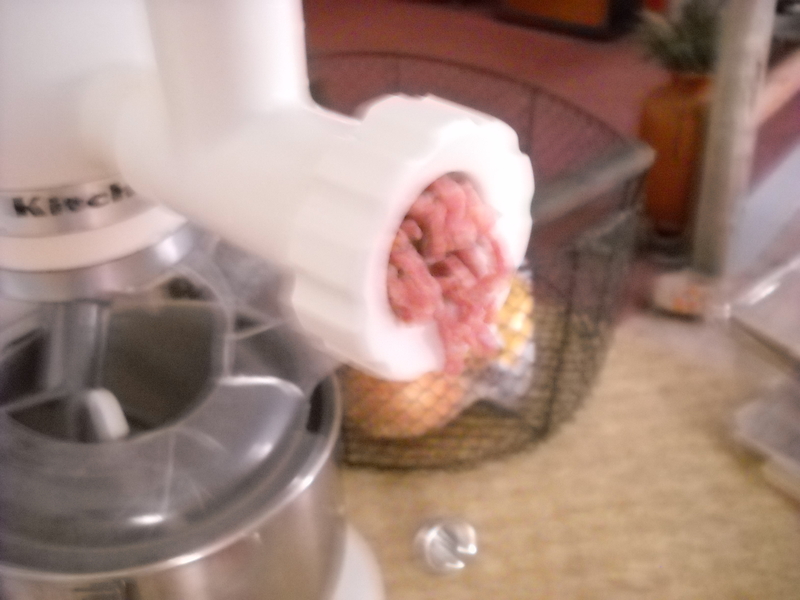 By the time I prepped everything, the ham bone was still partially frozen so I had a bit more difficulty in saving the nice spiral hunks clinging to it. 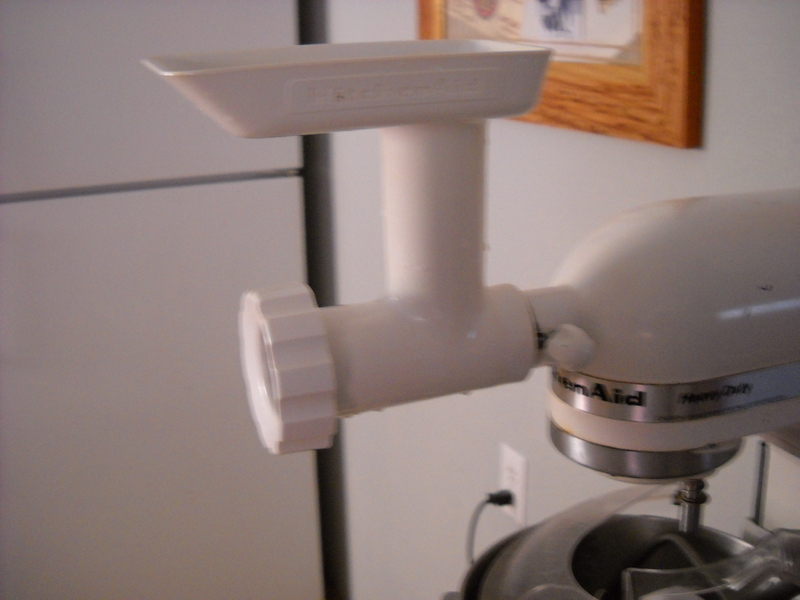 Frustrated by my ineptness that early in the morning (5:30 am) I decided to just strip the bone bare as possible and grind like hamburger whatever meat I could glean from it. 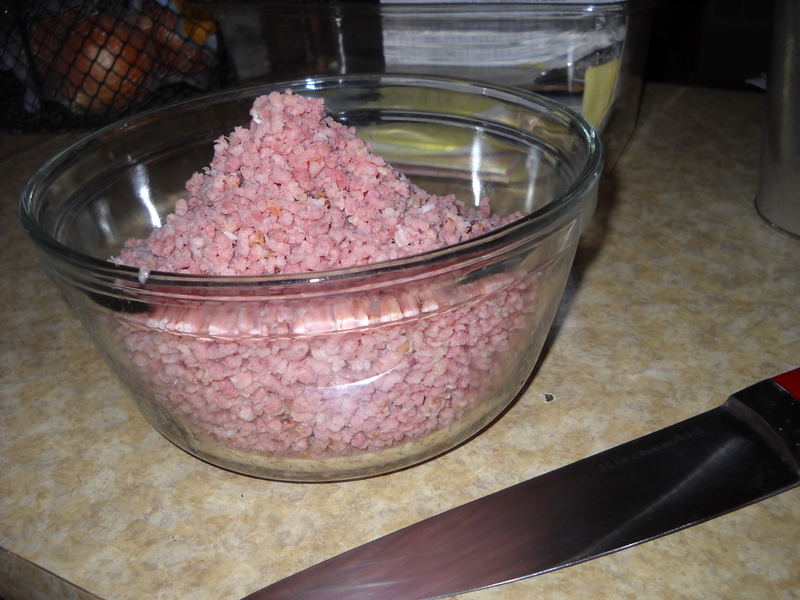 That ham bone produced a whopping 2.5 pounds of incredibly delicious ground ham! And to think it was destined for the trash bin! Below is a pictorial of making one of the most delicious breakfast I’ve enjoyed since moving here to the desert of Arizona. 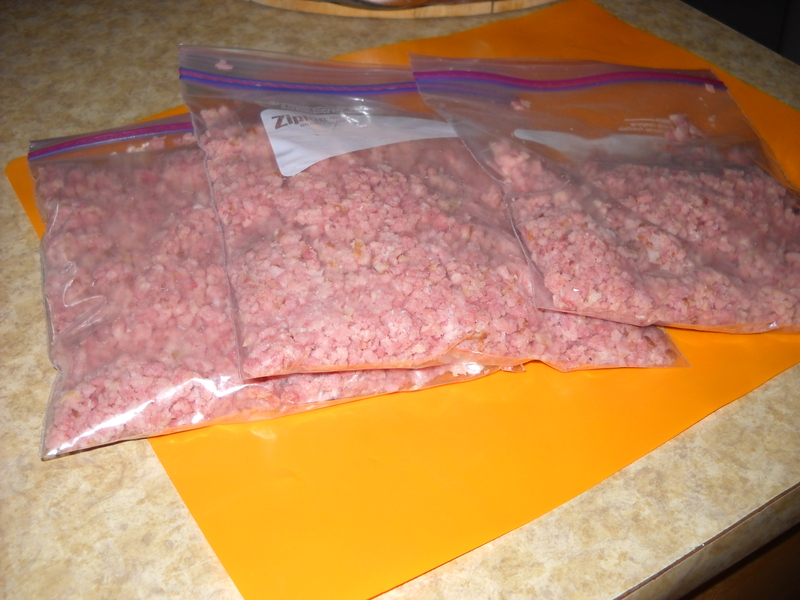 Chopped up and ready for the grinder. Notice how much smaller the bone is now. 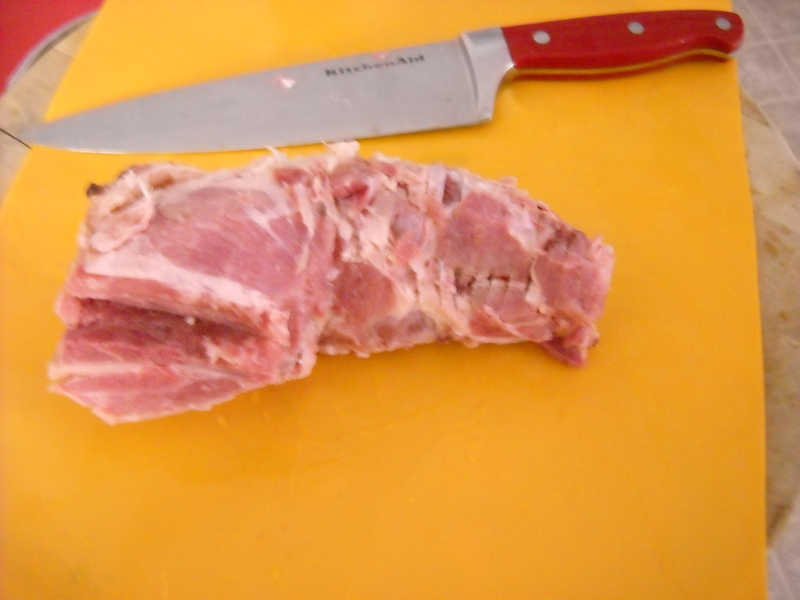 Using the small hole plate and cutter blade, the ham quickly ground into a perfect blend of high quality ham fat and meat. Opps, sorry about the blurriness, my bad. I recovered 2.5 pounds of delicious meat and fat from that ‘ol bone! 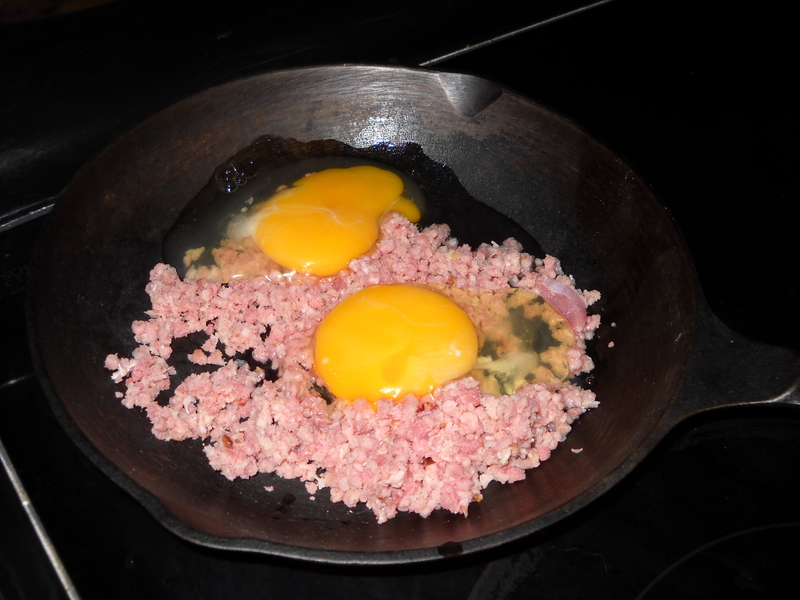 With the ground ham all fried up to my liking, I throw in a couple of eggs and mix it all together. 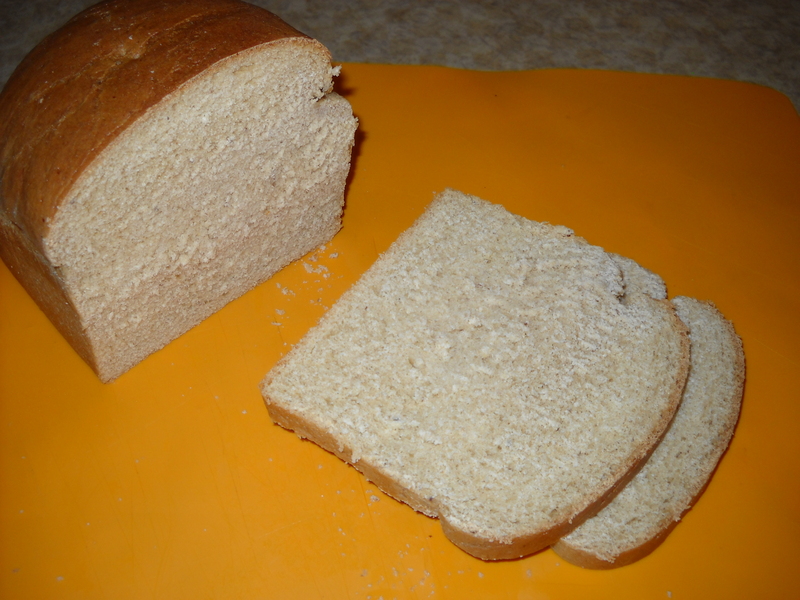 A couple of slices of my home made bread to toast makes for a great breakfast sandwich (the recipe for this bread is located in an earlier post in this blog). 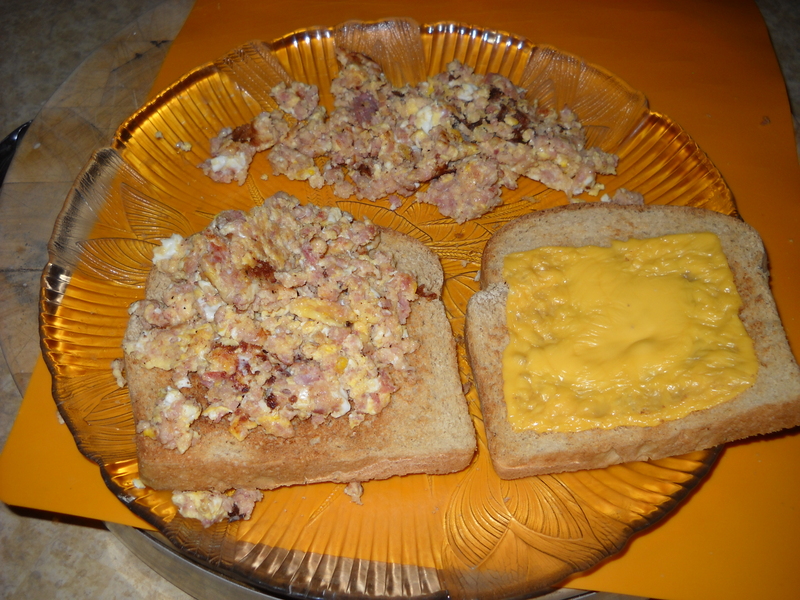 I added a slab of cheddar to it all and had a very fine breakfast… and still have enough for at least 10 more breakfast sandwiches too boot! 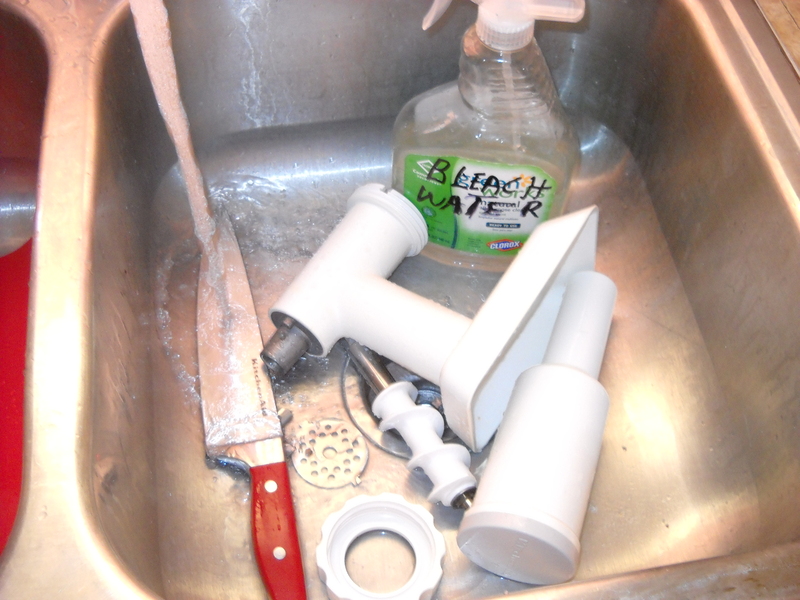 A note of caution… after grinding and washing, soak or spray all the parts in bleach water for 5 minutes before packing the grinder away. Better safe than sorry.